A point alienates from itself and becomes a line. A line alienates from itself and becomes a square. A square alienates from itself and becomes a cube. 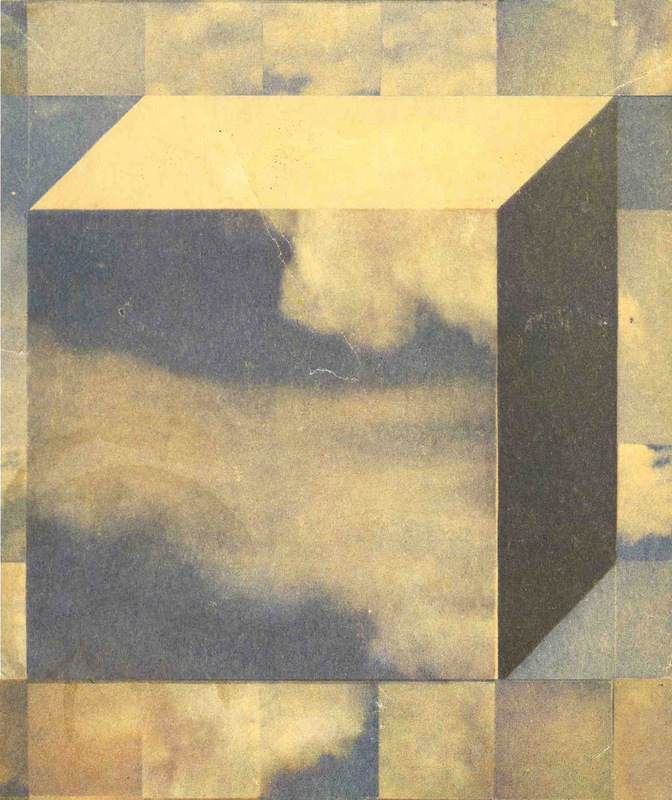 A cube alienates from itself and becomes a hypercube. Black Hyperbox is a dimension of productive alienation from concepts through experience and from experience through thinking. Black Hyperbox is a productive lie, a future-oriented spatiotemporal ruse, where the conceptual horizon is mutilated through doing and the horizon of imagination is mutilated through thought. In Black Hyperbox, any known can be black-boxed and the unknown can turn out to be most banal. Black Hyperbox is a spatiotemporality where, through the inevitable involvement in someone else's method and research, systematic alienation becomes a method of production in itself. Black Hyperbox started as a frame for performance and text, based on the alienation between practice and conceptualization. Artworks, mostly performances, emerged from its process. They are circulating sometimes independently, sometimes together. Black Hyperbox is also a book that holds incompatible conceptual zones and spatiotemporalities together: Old World and New World, theater and jungle, jaguars and AI, prehistory and futurism, the earthly home and the alien space, Mecca and the North Pole, spaceships lost in cosmos and the politics of Isis, Malevich’s black square and the moon travel, thought and hallucination. With mouth open, eyes sink. With mouth closed, eyes bulge. Holding breath, eyes bulge out completely. They wouldn’t like it if I dropped one on the floor. They don’t like it if I drop food either, they ask me to eat it. I wouldn’t want them to ask me to eat my eye. How do we distinguish between the actual space of the theater and the reality of the imaginary space? How can one linger in-between them? What if the middle is the beginning? A performer shifts, from time to time, the attitudes and states about what's happening. Sometimes the reactions seem to be related to the space, sometimes to the visitors, sometimes to shared expectations and conventions… Unexperiences works with the automatisms of having an experience – the implicit attitudes and emotions associated with a situation, in this case, of an audience seeing art (performance). More than presenting something to the esthetic sensibilities of the visitors, Unexperiences is interested in how affecting those sensibilities becomes the work, in their bodies. Receiving a performance implicitly builds you as a subject. Doubt that subject that you’re shaped into by what is visible and languaged. I devoted myself to hiding most of what I address to you, getting in and out of subjectivities. You’ll be comforted to know that something else is hiding me. Testing reductions with a penchant for denotative perfection and maximum of synthesis: not necessarily false, but necessarily insufficient. There is nothing else but sound. The tiger lives in the jungle. No description available for this feature. In the state of Possession, my false Self possesses my real Self. I turn against my Self. I try to kill my Self and my Sister Self. I am reversed imitation. Once mindful of the Sister, I am her, I am her Self, spinning into the deep Background of the Self. A tribute to Mary Daly. Score for actions, movement, states of mind, people, the empty stage and the memory gap. Contents exhibited that are forming, deforming and erasing themselves. The interpretation of this content is corrupted by the presence on stage and the imagination of the viewer. Without beginning or end. You throw out a point to see if the space helps you think or do. Every step deforms the map. Every deformation deforms the step. You move the point of indifference. A structure emerges only as that which holds vagueness together. Leave the point alone in the black box and look. Hearing tutorial for the sound produced by the one handed clap. How to come up with a method? A method for being here and now. I write a method. It is a good method. I like it. But I could come up with a better method. I am told that until I find the better method, I could use the good method. I refuse. I won’t accept anything less than the optimal method. Black Hyperbox book is edited by Alina Popa and Florin Flueras and published by PUNCH. Black Hyperbox is one of the first Artworlds initiated by Alina Popa and Florin Flueras.